A Place to Call Home provides foster care and respite services for vulnerable children and adults. APTCH offers free foster care training, licensure, monitoring and support to enable vulnerable individuals to live their best lives. 7 locations across Tucson. Provides group supported employment, day treatment and training, home based respite, habilitation training, attendant care, and summer programs. Residential group homes, independent living arrangements, day programs, vocational rehabilitation, home and community based services, foster care. Creating families for children and vulnerable adults who receive services from the state of Arizona Department of Developmental Disabilities (DDD). Foster Family homes offering support to Adult Developmental Home (ADH) and Child Developmental Home (CDH) providers. Not-for-profit public interest law firm, dedicated to protecting the rights of individuals with physical, mental, psychiatric, sensory and cognitive disabilities. Exceptional Student services thoughout the state of Arizona. The Arizona Early Intervention Program (AzEIP) is Arizona’s statewide interagency system of services and supports for families of infants and toddlers, birth to three years of age, with significant developmental delays. The Arizona State Schools for the Deaf and the Blind (ASDB) was founded in 1912 – the year of Arizona’s statehood. ASDB serves over 2,000 children who are blind, visually impaired, deaf, hard-of-hearing, multisensory disabled or deafblind from birth to age 22. ASDB operates two schools for the deaf, one school for the blind, a statewide birth-to-three early childhood and family education program and five regional cooperatives. ASDB is dedicated to empowering young children and students with the educational opportunities necessary to succeed in college, career and life. Accessible education, training and experiences in the arts. Classes include ceramics, art, dance, music, cooking, gardening, Spanish, current events, field trips, etc. Professional artists present instruction in painting, creative movements, ceramics, drawing, music and rhythmics and fiber arts. Life skills including personal hygiene and grooming, social interchange, reading and health awareness. The Autism Society Southern Arizona (ASSA), is the leading voice and resource of the entire autism community in education, advocacy, services, research and support. The Autism Society is committed to meaningful participation and self-determination in all aspects of life for individuals on the autism spectrum and their families. The Autism Society Southern Arizona accomplishes its ongoing mission through close collaboration with a successful network of affiliates, members and supporters as well as several local non-profits. We direct families to resources and information to help them navigate a complex healthcare system. ASSA also provides programs to the community for individuals impacted by autism. Several different day programs to serve a variety of special needs. Activities vary based on program. Fitness and recreational program for children and adults with a developmental, emotional, and/or psychiatric disability. U of A based residential 2-year student program with bridge and supported living programs that follow. At Cimarron Family Vision Center, we believe in treating not just your eyes, but also in your general health and well-being. Main focus: Vision Therapy, Eye Exams and Glasses. 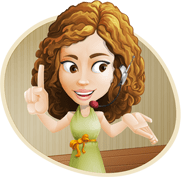 Counseling, interpreter services, vocational, classes, advocacy, case management, life skills for the deaf, deaf-blind, and hearing impaired individuals. Behavioral health, foster care, developmental services including: supported living, developmental homes, group homes, attendant care, day support sites, employment-related programs, habilitation services, housekeeping and respite care. Congregation Or Chadash is a Reform synagogue with a full time rabbi, cantor, and an inclusive Religious School program for students in Pre-K through 8th grade with all abilities and needs. We work with an Inclusion Director as part of CEDS (Council of Jewish Education Directors). *Disclaimer: Jewish Tucson does not endorse any person, products or services contained in this Resource Directory. The acceptance of a listing in this Resource Directory does not constitute recommendation, approval or other representation of the reputation or ability of any person or the quality of their products or services. 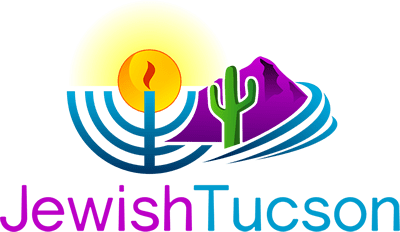 Use of any products or services advertised in this Resource Directory is solely at the user’s risk and Jewish Tucson accepts no responsibility or liability in connection therewith. Thanks to a generous grant from the Jewish Federation of Southern Arizona and the Jewish Community Foundation aligned grants process, Tucson’s Jewish community is pleased to offer opportunities for individuals and families with special needs to connect and access resources.